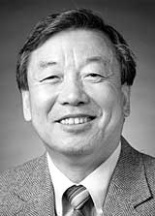 After thirty-eight years of service to the Department of Economics, Professor Yoshio Niho retired in the summer of 2008. In addition to a legacy of outstanding graduate students and contributions to the discipline, his initial financial contribution started the Excellence Fund that bears his name. The proceeds of the fund support the research activities of junior faculty in the department contributing to their success, to that of the department and to the benefit of all associated with UWM economics. This self-supporting fund has received over $135,000 in contributions from Yoshio, faculty, alumni, and friends. We encourage you to help remember Yoshio’s service to the department and help build the department of tomorrow with a contribution. Contact Prof. John S. Heywood for information and to ask for a pledge form or contribute directly on-line. A native of Japan, Yoshio came to the U.S. first to earn an MA at the University of Hawaii and then to earn a PhD at Brown University. An expert in dynamic optimization, he wrote well-recognized papers on a wide-range of topics including economic growth, optimal property taxation, trade protection and international environmental quality. These papers appeared in the discipline’s most prestigious journals including the American Economic Review, International Economic Review, Journal of Public Economics, and Oxford Economic Papers. His graduate students include professors at leading universities, successful consultants, government officials, and entrepreneurs. He routinely taught microeconomic theory and mathematical economics. Yoshio is also remembered for his essential role in creating our three-decades old exchange program with Giessen University in Germany.